Link, a young man raised as a wrangler in a small, rural village, is ordered by the mayor to attend the Hyrule Summit. He sets off, oblivious to the dark fate that has descended upon the kingdom. When he enters the Twilight Realm that has covered Hyrule, he transforms into a wolf and is captured. A mysterious figure named Midna helps him break free, and with the aid of her magic, they set off to free the land from the shadows. 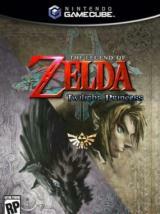 Link must explore the vast land of Hyrule and uncover the mystery behind its plunge into darkness. As he does, he'll have to enlist the aid of friendly folk, solve puzzles and battle his way through dangerous dungeons. In the Twilight Realm, he’ll have to use his wolf abilities and Midna’s magic to bring light to the land. Besides his trusty sword and shield, Link will use his bow and arrows, fight while on horseback and use a wealth of other items, both new and old.